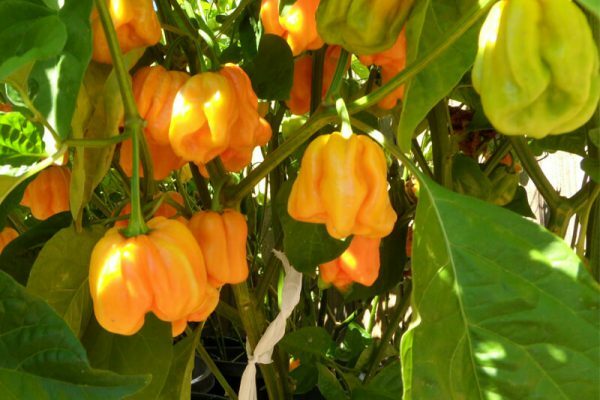 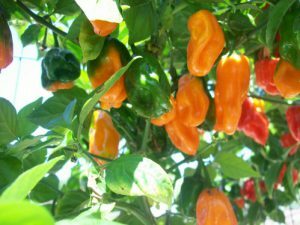 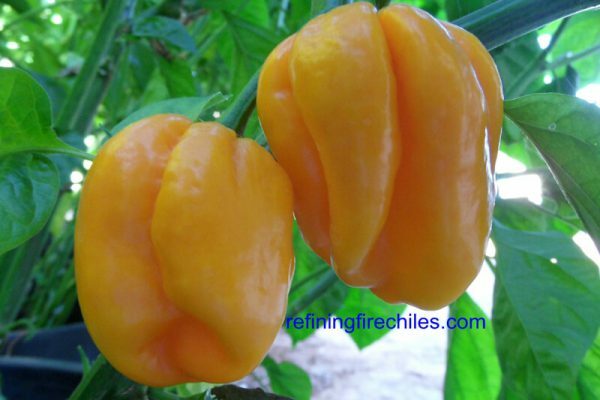 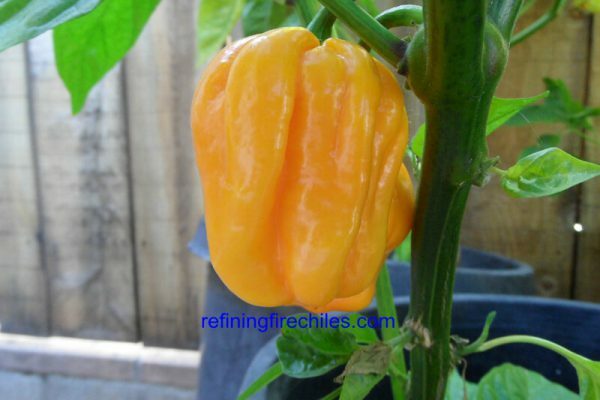 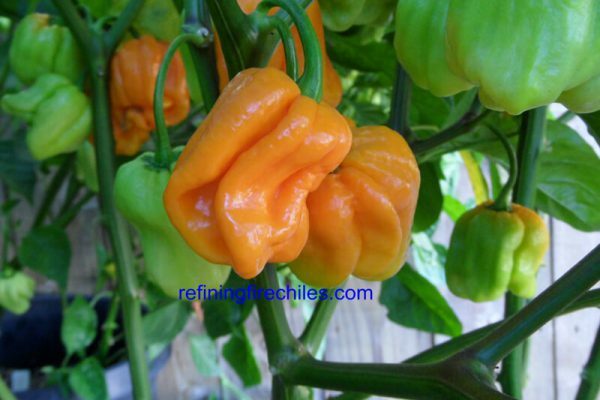 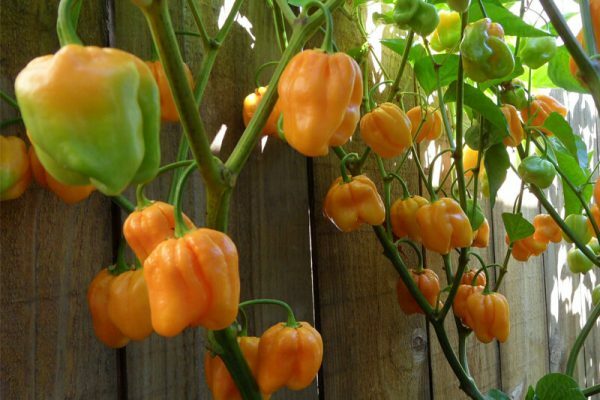 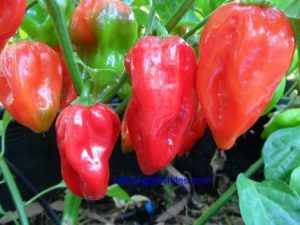 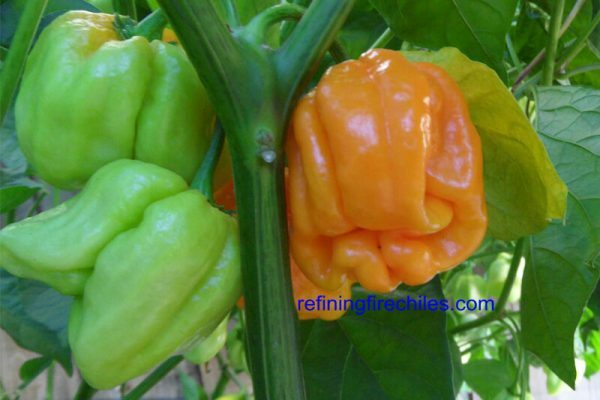 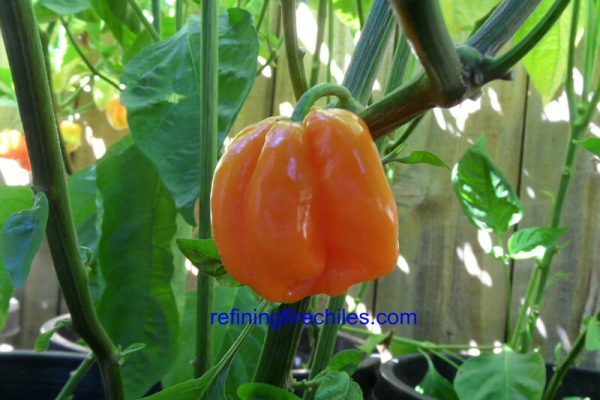 This chile comes from Roatan Island off the coast of Honduras. 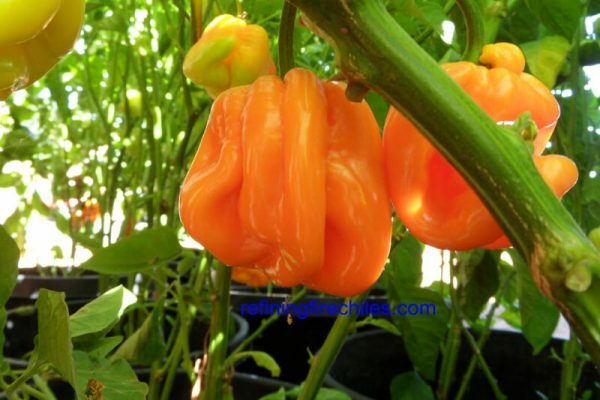 Pods are wrinkled and ribbed and have a pumpkin look to them. 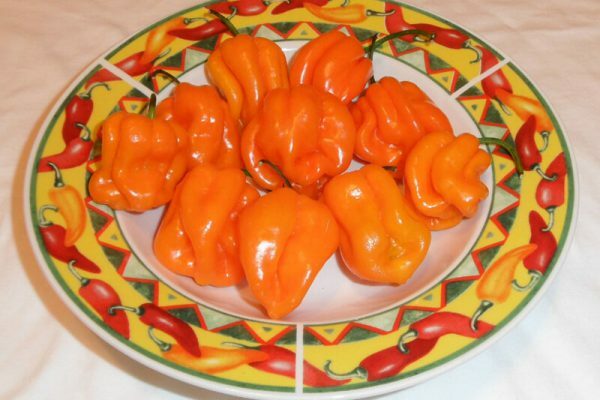 They have a nice orange color and get rather large. 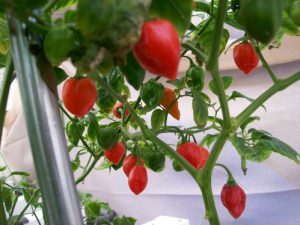 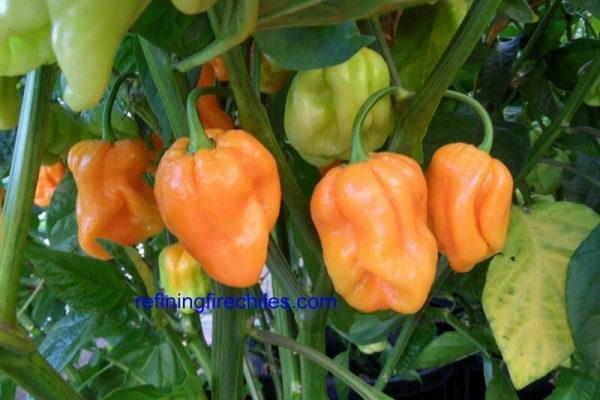 The plants are heavy producers so staking plant may be necessary. 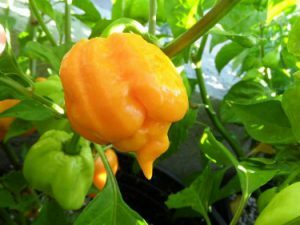 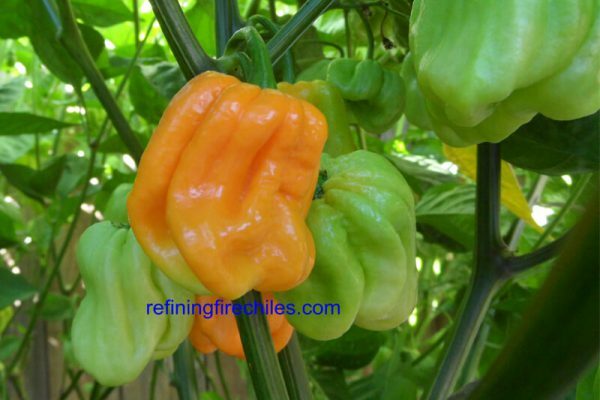 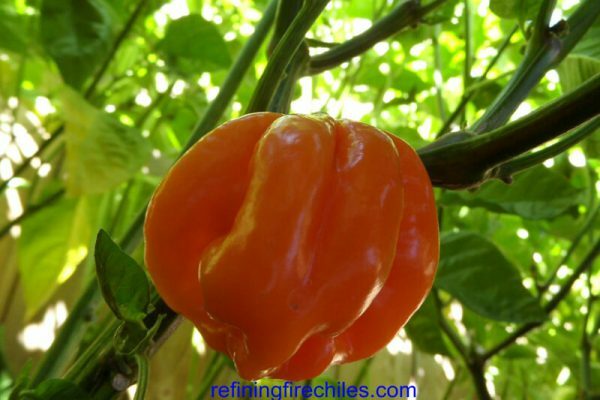 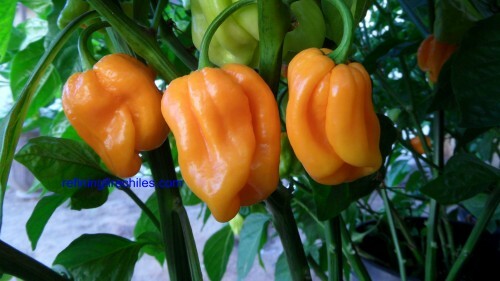 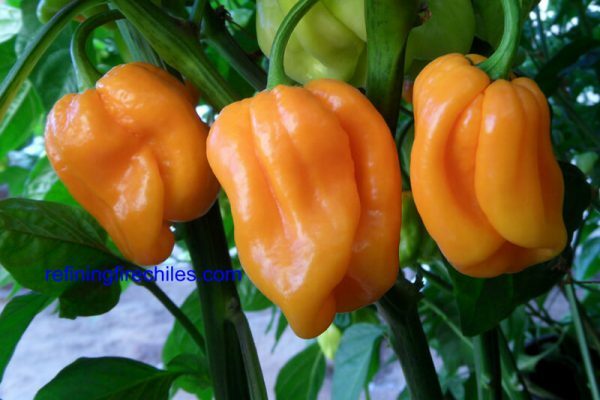 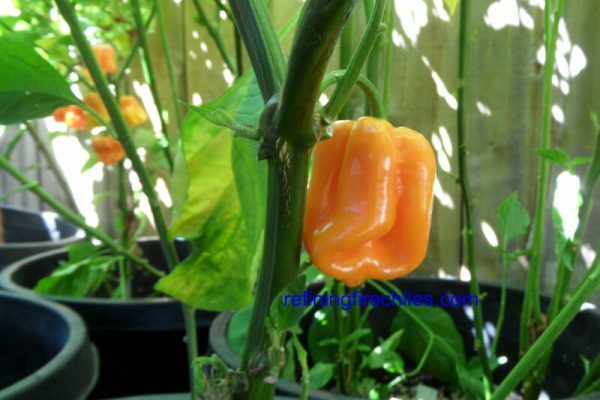 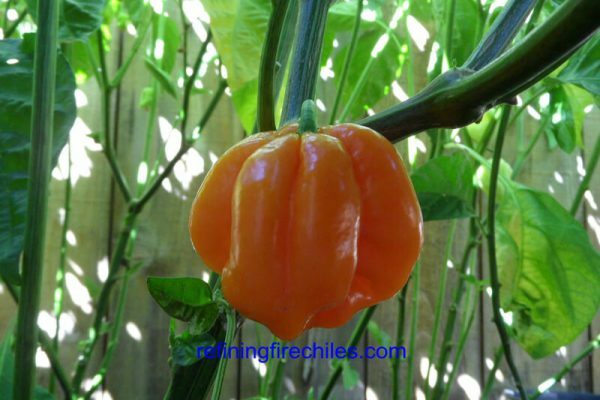 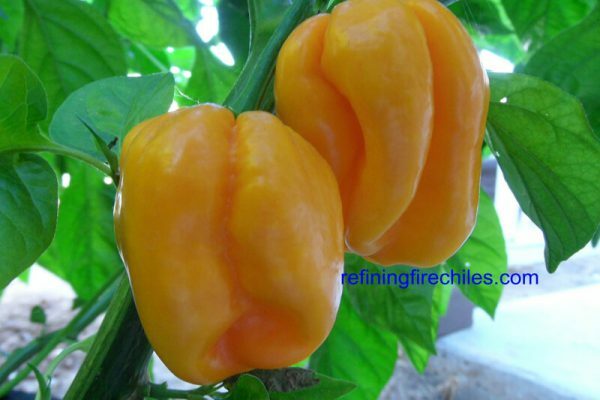 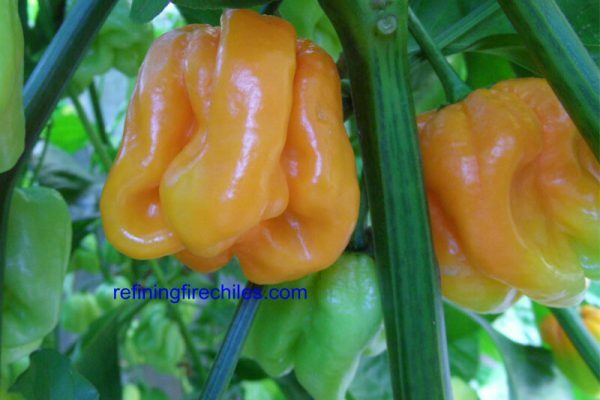 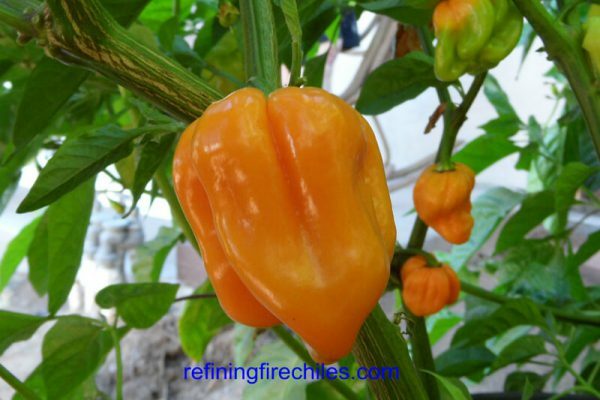 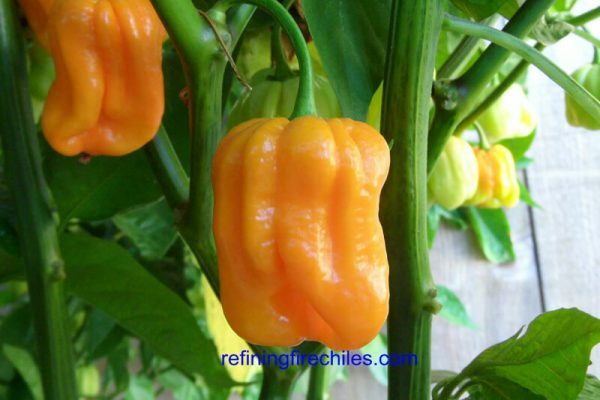 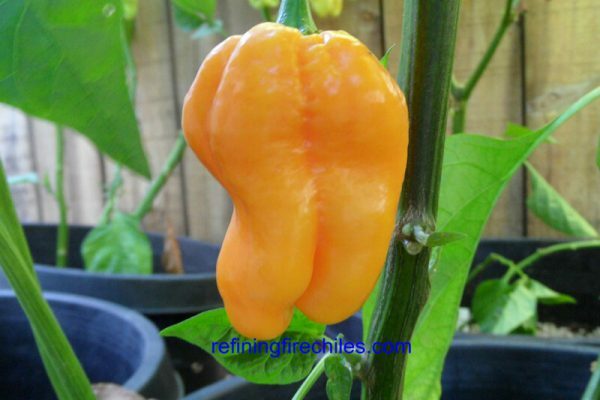 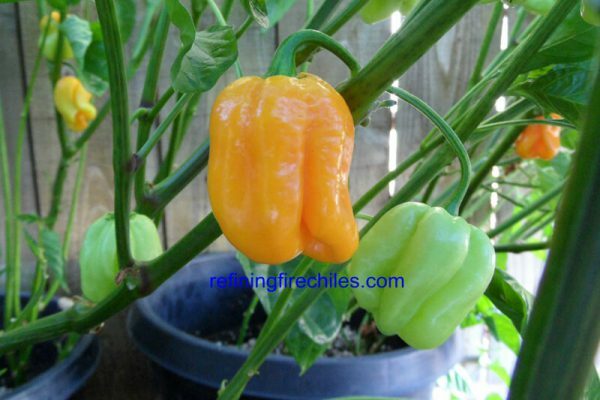 This chile has above average habanero heat with nice fruity taste. 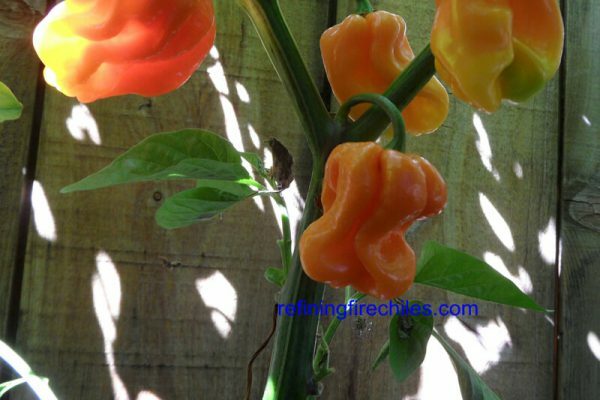 Pods mature from light green to dark orange.